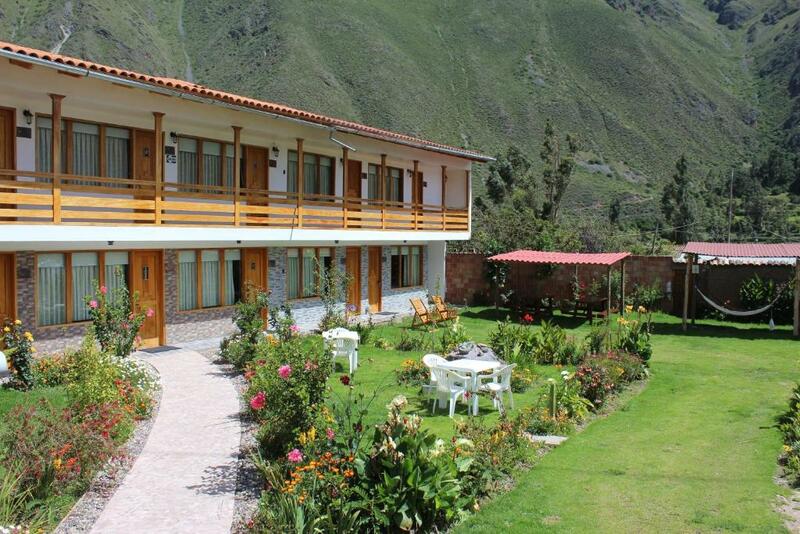 Lock in a great price for Hotel Tierra Inka Sacred Valley – rated 8.9 by recent guests! The service was incredibly personal. The host prepared a to-go breakfast for us since we were checking out at 5:20am. I love this place, I've been twice now and haven't had any negative feedback either time. The breakfast could be a little better but with the price per night I can't really complain as it's really better than nothing. The internet works great, the TV channels are awesome, the facilities are clean and staff are great. Couldn't ask for better. They even had free parking for my rental car!! The area is beautiful and so is the view! Luis is a sweetheart and promptly assisted us with all matters. The property is located a short distance from the main center 10-15. The facilities were super clean and the staff was amazing. They arranged a taxi for us to tour Moray and Sales de Malas. Breakfast was good. The personnel care we received. Alex and his staff were over the top. Nice garden with 2 alpacas hanging around. Hotel managed by the family and people are very friendly. 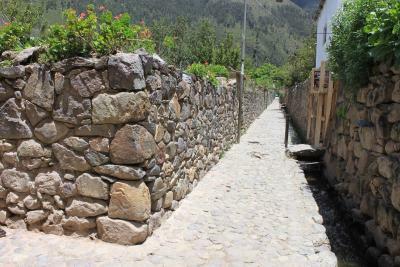 The property is removed from the center of town, so it is a bit of a walk to the main plaza or to the train station, but we enjoyed being away from the hubbub and found it a pleasant walk, even when returning from the train at midnight. The staff were all very friendly and helpful. 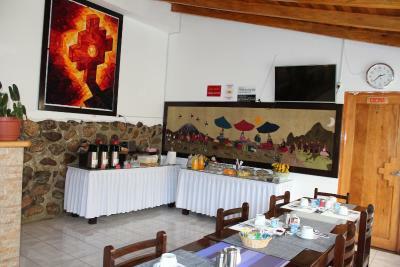 There was a good breakfast available every day, with fresh papaya and fresh orange juice, along with eggs, ham, cheese, bread, yogurt, olives, cereal, coffee and tea. 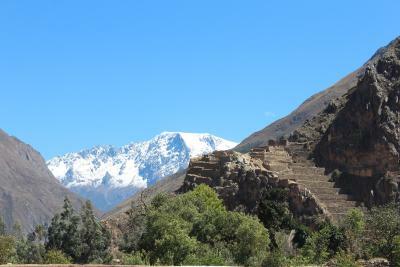 Great views of the mountains and archaeological site. The room was nicely decorated and the grounds were pretty, with hammocks available for relaxation. The staff were wonderful. A BIG thank you to dear Andrea for the warm welcome. The property felt very secure, private and looking out across their lovely garden to the mountains was a lovely introduction to the magical town of Ollantaytambo. 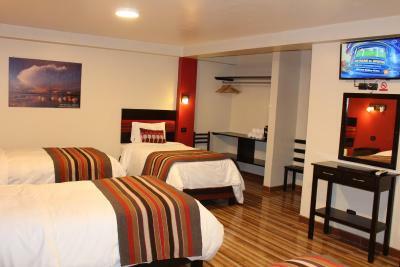 The room was charming, clean and the beds extremely comfortable. Breakfast was excellent. We would stay there again! 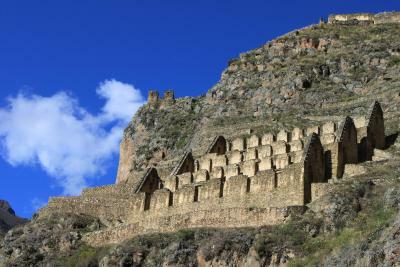 Hotel Tierra Inka Sacred Valley provides accommodations in Ollantaytambo, in the heart of the Sacred Valley. 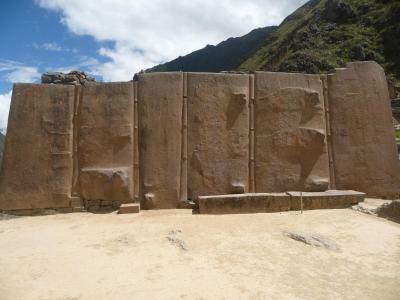 Ollantaytambo's archaeological sites are a 5-minute walk from the property, while the main square and the train station are a 10-minute walk away. 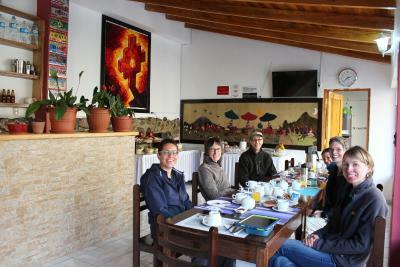 Free WiFi access is available in Hotel Tierra Inka Sacred Valley. 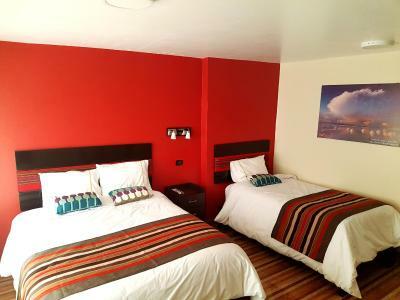 Rooms at Hotel Tierra Inka Sacred Valley are spacious and feature a private bathroom with unlimited hot water and garden views. 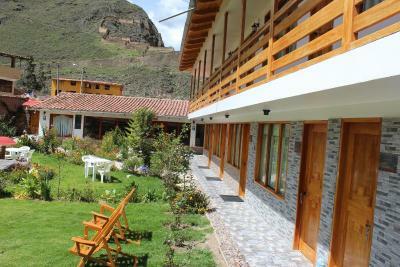 At Hotel Tierra Inka Sacred Valley guests will find a 24-hour front desk, a garden and a bar. Other facilities offered at the property include a tour desk and luggage storage. The property offers free parking. 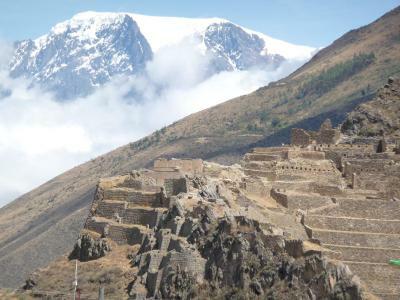 The hotel is a 5-minute walk from the Ollantaytambo Fort and a 10-minute walk from the train station and the city's main square. 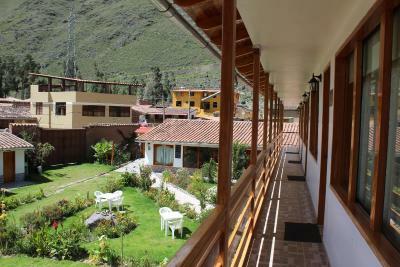 When would you like to stay at Hotel Tierra Inka Sacred Valley? 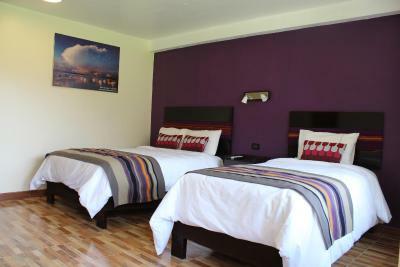 This spacious and cozy twin room offers a double bed and a single bed. 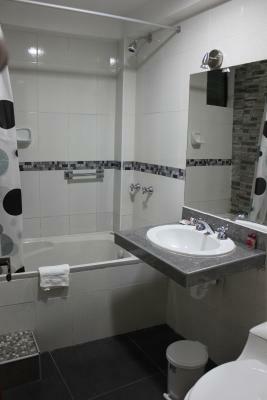 It is fitted with a private bathroom, a safety deposit box, a cable TV, WiFi access and a hairdryer. 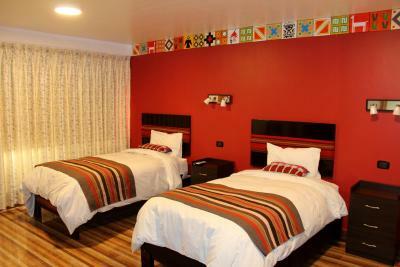 The twin room rate is for 2 guests, however bed configuration allows accommodations of a third guest, for an extra fee. 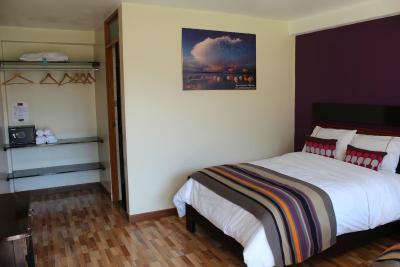 This spacious and cozy single room offers a double bed and a single bed. It is fitted with a private bathroom, a safety deposit box, a cable TV, WiFi access and a hairdryer. The single room rate is for 1 guest, however bed configuration allows accommodations of a second guest, for an extra fee. 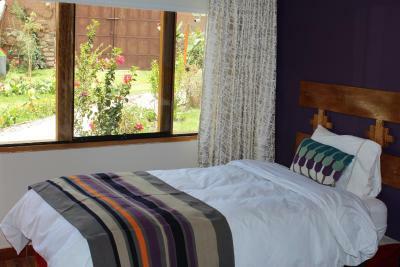 This spacious and cozy double room offers a double bed and a single bed. It is fitted with a private bathroom, a safety deposit box, a cable TV, WiFi access and a hairdryer. 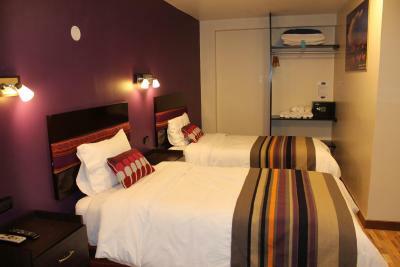 The double room rate is for 2 guests, however bed configuration allows accommodations of a third guest, for an extra fee. 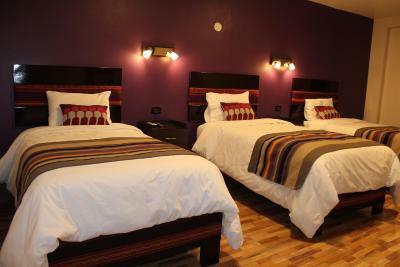 This spacious and cozy quadruple room offers 4 single beds, a private bathroom, a safety deposit box, a cable TV, WiFi access and a hairdryer. This spacious and cozy triple room offers 3 single beds, a private bathroom, a safety deposit box, a cable TV, WiFi access and a hairdryer. 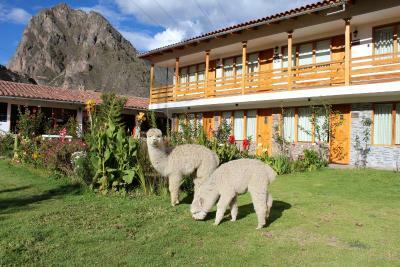 House Rules Hotel Tierra Inka Sacred Valley takes special requests – add in the next step! 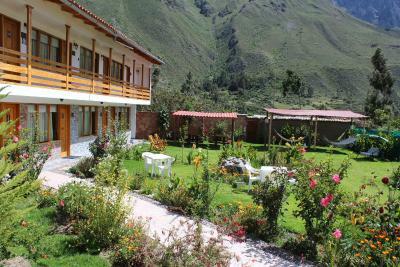 Hotel Tierra Inka Sacred Valley accepts these cards and reserves the right to temporarily hold an amount prior to arrival. Please note full payment is done at arrival. Please note children older than 3 years must paid a separately bed. 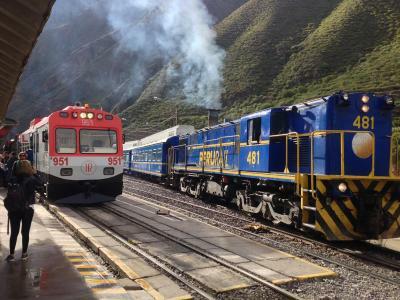 Based on local tax laws, Peruvian citizens (and foreigners staying more than 59 days in Peru) must pay an additional fee of 18% .To be exempt from this 18% additional fee (IGV), a copy of the immigration card and passport must be presented. Please note both documents are required for fee exemption. Guests who are not able to present both documents will be required to pay the fee. Hotel is adjoined to a farm. The roosters woke us up every night around 3 and would not quiet. There were dogs barking almost all night and will not stop. Interrupted sleep almost every night. 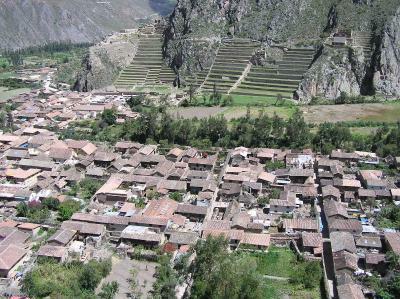 The location farther from the main square and paths we're made of dirt/soil. There is no lighting on path at night. You would need a Moto taxi to go to square and come back. The only way to get one from hotel would be to have them call one for you and there is an additional charge for that. Very friendly staff / Pretty location 15min. 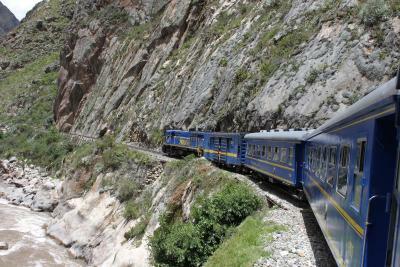 away from train station to Aguas Calientes/Machu Picchu / Nice breakfast / Comfortable bed. The man at the desk of the hotel stole my wife’s cellular phone for her work. He removed the chip from the phone, then later claimed we left it in the room. My wife lost all her data and contacts for her job. We retrieved the phone but lost all the information. Never will I recommend a hotel who steals from its guests. They don't change towels. They have wifi but 2 of 3 days it has no Internet access. They want you to pay in advance and you have to pay cash unless you have visa. No glass at the room. Ask to stay in a room upstairs. The walls are thin and if you have people above you who can’t mind the noise it can get really annoying. 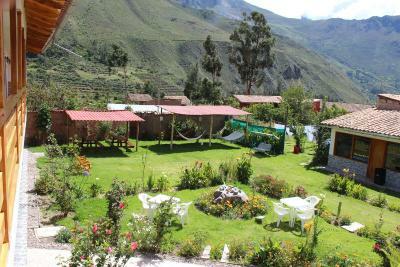 A peaceful hideaway with a lovely garden, well located with an easy walk to the main square and restaurants. 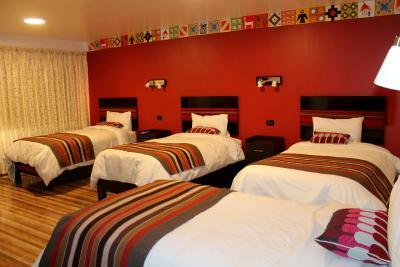 Warm and comfortable beds with helpful staff. Yummy breakfast. The rooms were icy cold and you had to pay for a heater but that didnt help and no hot water. No restaurant or access to food without a 10minute walk down a road with no sidewalk. Wifi did not work. One person running the entire hotel at a time. At night, you have to use your key to get in. If you have limited mobility the walk to the centre may be a problem, but we aren't particularly fit and had no problems with it. Tuk-tuks are also very easy to find and only cost 10 sols from the station, or 5 sols from the centre. The hotel is set around a beautiful garden rooms are modern and clean but with character touches. It is slightly outside the tourist centre, but still an easy walk (and downhill on the way home) or tuk-tuk ride away, and it was good to be in a residential area where you could see daily life going on. Staff are very friendly and helpful.